Mark Mortell joined FleishmanHillard in 2002 and provides senior counsel to clients across corporate communications, reputation and crisis management, as well as internal and change communications. He supports clients across multiple sectors including financial services, public affairs, tourism, technology, health, food and drink, property, and media. He has worked internationally in Europe, the Middle East and Asia, as well as in the USA. Mortell is an established political and election strategist, and is a close adviser to the Irish Prime Minister. 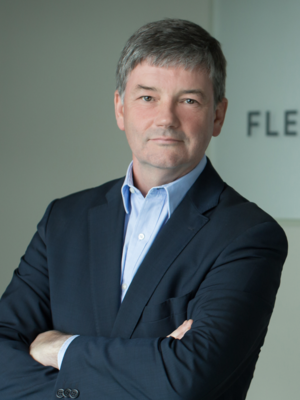 Mark is a member of the FleishmanHillard Global Management Cabinet and currently leads a global team of Omnicom agencies working with Royal Philips. He joined the agency from Aer Lingus where he was commercial director. Previously Mortell was chairman of the Irish Tourist Board, managing director of Dimension Advertising & Marketing, and held senior management and marketing positions with Bank of Ireland Group, Mars, Ballygowan Spring Water and Guinness Ireland. Mortell is one of FleishmanHillard’s lead media trainers, coaching broadcasters, politicians and business and community leaders. A graduate of Dublin City University, he is a fellow of the Marketing Institute of Ireland and a member of the Public Relations Institute of Ireland. He is married with two daughters. He has served on the Board of a number of charities and is a regular broadcaster and published commentator on branding and current affairs.